Thanks for sharing your storiesm Im so sorry you lost your precious angels. This site is really helpfull. You can vent on here whenever you like. I lost my baby boy Connor on 29/2/08. I was 36wks and 4 days pregnant. When I truned up for a check up with my midwife we couldnt find a heartbeat. TeRina thats cool that youre going to be a midwife, hope thats going well for you. My name is Natalie and I am quite new here myself. I lost my son Dreyton in april at 40 weeks gest due to a placental abruption. It's sad that there are people like us who have lost babies, but this site and the lovely people who talk to us on here have been an awesome support for me so far. Even if I just read old posts from people who have had similar thoughts to me and don't actually comment myself. I wouldn't say that. Loosing a baby is loosing a baby no matter what gestational age they are. People have said to me that they can't compare their miscarriages to what I have been through but I do firmly believe that even someone who looses a baby at 6 weeks had hopes and dreams for that baby like I had for Dreyton, even though they didn't get to feel that baby move etc. It is different but it is still painful for the person going through it. I certainly hope that friends and family don't ever feel that they shouldn't talk to me about miscarriages because I do feel for those people as well. I do have awesome support. I have an amazing partner and family and some fantastic friends. I am going back to work on 2nd June which is my next big scary thing!! My midwife advised me to have 3 cycles before TTC again which I may stick to! Not sure yet. I'd love to get pregnant now but I know I need to let my body recover a bit more. It's not that I don't care about Dreyton and can't wait to replace him, it's just that I wanted him so badly and now that I don't have him I still feel the urge to have a baby. The only thing I am sure about is that I don't want to get pregnant towards the end of June/beginning of July because that would make my due date around the same time as Dreyton's due date and birthday. So maybe we will start trying at the end of July! Who knows at this point haha. yup I have lit a candle for Dreyton. I like going in there when I'm sad and reading not only his candle but some of the others as well. My SIL had a baby 2 weeks after Dreyton was born which was hard but I knew I had to learn to deal with it because she is my niece and I still lover her the same as I would if Dreyton was here. Hello to Natalie and Summersmum.... hugs to you both, vent anytime you wish, there is a great bunch of ladies on here who totally understand and know what you are going thru. Natalie i also had a placenta abruption, back in 2007, at 35 weeks pregnant, my little boy lived for 25 hours. if you have any questions or thoughts feel free to pm me. I was pregnant again within 4 months of my abruption. I have sent u a PM. Can u please let me know if u have got it because I think I am doing something wrong. It is sitting in the outbox. Hi Nat, private messages sit in the outbox until the person receiving them opens it. - I think when I first noticed that I sent the same message to Hayley a few times over! 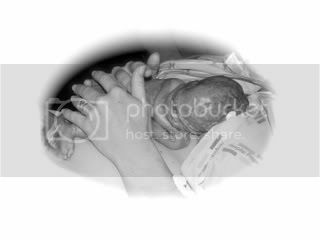 Darien died from a concealed placental abruption, it was so painful and so sudden, he never had a chance That weekend was the most horrific of my life, it turned everything upside down and changed it forever. I got pregnant with Lorelai within 3 months, which was probably too soon- I haven't 'dealt' with Darien's death, and indeed have avoided it for the last few months so as to keep positive for the next birth. His first angelversary is coming up on the 16th June, god I hate June. So here I am again, 'dealing' and being around people who understand the ache and the lonliness. Jess I am also in west auckland! I have arguments for both waiting and not waiting going around in my head all the time. Part of me wants to get pregnant sooner rather than later because I so desperately want a baby to hold and love, and almost feel like I need a baby since loosing Dreyton because I don't have the end product of the full term pregnancy. Another part of me wants to wait the 3 months the midwife has suggested because there must be a reason they recommend waiting. And part of me wants to wait a bit longer to make sure that I give myself a chance to grieve properly so that I don't subconciously give the next baby a 'job' before he or she is even born (the job being to fill the gap so to speak). To be honest I don't think I will wait any longer than 3 months because I keep looking at my SIL with my 4 week old niece and thinking about how I should be doing all the things she is doing. I have said a couple of times before that the last month and half has gone really fast but it has also gone really slow at the same time. It seems like only last week that I was finishing work to go on maternity leave, but when I think about it in terms of getting pregnant again it seems like 3 cycles is an eternity (even though 1 has been and gone)! I know that grieving is a process and it takes time, but I feel like I can still grieve for Dreyton while starting to care for and love his little brother or sister! It sounds weird and kind of selfish when I try and explain it but it makes sense in my head! Haha. Anyway I think I have rambled on enough! Haha. Dylan and I are going away for the weekend so I won't be back on here until sunday. I might have withdrawl symptoms because I come on everyday! Eeek. Then I am back at work on tuesday which will be interesting!!! My names Rebecca (known mostly as becs ) and my partners name is Izak. I'm 19yrs old and have been with Izak for 4yrs . We found out we were expecting our 1st baby earlier this year and were quite shocked as I was on the pill! But all the same very excited to start a family. At my 13wk scan we were told bub had what looked like a curve in her spine and were reassured that it was most likely nothing and not to worry and come back at a later date when she was bigger and they could see more. As time went by and I had scan after scan they eventually sent us to Christchurch (We're from Invercargill and they didn't have the specialists down here for my care) and in Christchurch were told our baby had server Spina Bifida and was already paralysed from the waist down and had no arm/hand movement and they were unsure why and also had clubfeet, and was underweight. We were sent home the same day and ask to decide (within a week) whether we wanted to continue, with the knowledge that she wouldn't live very long due to kidney failure (possibly wouldn't even make it full term) or whether we wanted to terminate (hate that word!) We chose to terminate as we thought it was not a life anyone deserved to live. On July 21st they started my Induction and on the 23rd at 8.00am I was admitted to hospital and by 6.15pm I had given birth to our wee girl Lillian Rose at 18wk3d. At lot of guilt has come as it was our decision to terminate. I know we done it because we loved her so much but its very hard to move forward and grieve without all the guilty feelings. I have found this site very helpful (and emotional!) but I feel its helping knowing there's other people out there going through the same thing and that we can support each other. I look forward to meeting everyone and am so sorry for the reason we are all hear. Hi Becs, sorry to hear of the loss of your precious wee girl. My heart breaks at these difficult and awful descisions that mothers are sometimes asked to make. There really is no right or wrong choice but i understand how painful these choices can be. My name is Debs and I lost my boy Ezra at 19w4days. Feel free to post anytime and look foward to getting to know you and your wee girl. Becs, Im sorry to hear what youve been through. It sounds like you have been very brave. I cant imagine how it must feel to face a decision like that. But I can tell you that guilt is a natural reaction, even if you didnt have to make that choice you may still feel guilty for something else. You did what you felt was right. I lost my baby boy Connor in feb last year when I was 18. I was 36.5 weeks pregnant and nobody saw it coming. I still have no reason why, only suspicions. I still often feel guilty that I shouldve been more in tune with what was going on, and I shouldve done this, and that, and everything else. I hope you are hanging in there. I'm so sorry to hear about your daughter. Try not to feel guilty about the decision you made. It was what felt right at the time and no amount of guilt can ever change what has happened. Just know that she is safe wherever she is and she is being looked after. She isn't where she should be which is with you but she will forever be with you in another sense. My name is Natalie (Nat) and my partner's name is Dylan. We are both 25 and have been together for 7 years. We fell pregnant with our first baby in June last year. Our son was due in april and at 40 weeks 3 days I was taken to hospital with bad tummy and back pain. We were soon told that Dreyton had died sometime overnight and I then gave birth to him at 1.30 the following morning (his story is on the stories page if you want to know more detail! ). It is still quite raw and I still often cry for him but we were determined to try again asap. I then found out in july that I was pregnant again. We were both trying to be positive and think happy thoughts but it just wasn't enough. At 8 weeks I started to get some brown discharge and after some HCG level tests and a scan we were told that I had a blighted ovum which is where there is a sack but no baby. We were guttered!! Anyway we will continue to try and get the baby that we want and we won't stop until we do. I'm sorry that you have had to join our club but I look forward to getting to know you and your precious girl. Big thank you to everyone for being so welcoming! I also look forward to getting to know everyone and your wee angels. Hi Becs, I'm sorry for the loss of your wee Lillian Rose, what a beautiful name. I hope you find comfort here, being around other angel mums. Im sorry 2 hear what ya been through. It sounds like yah have been very brave u did what you felt was right. I lost my baby girl Amelia-rose n march this year @ 26+5 due to a virus that i contracted an it stopped her blood flow etc was hard 2 go thru but wen i found out about this website its made my life alot easier 2 know that im not alone an theres others out there that have been thru the same as me if not worse. Im from down in gore but live in waikaia now with my fiance i hope things look up 4 u & life gets easier remb we all here 4 each other. amazing how a lot of thoughts and feelings are similar basically the same ... like i could've written that.. or i'm feeling the same thing but tooo embarrassed to say it..
thank you so much for starting this site.. u've helped a lot of people..
My little angel was born on the 22nd of September, 2010 at 11:49am. We named him Joseph Glenn. I hope everyone here will someday find the happiness we ache for-- holding our baby angels in our arms. Meanwhile, we all wait together. Welcome to TLO. Sorry to hear about your little guy. I also have a son in heaven. Dreyton was born sleeping on 9th april 2009. I also take Drey with me everywhere I go in the form of a locket.